What can we say about these great bed rolls? 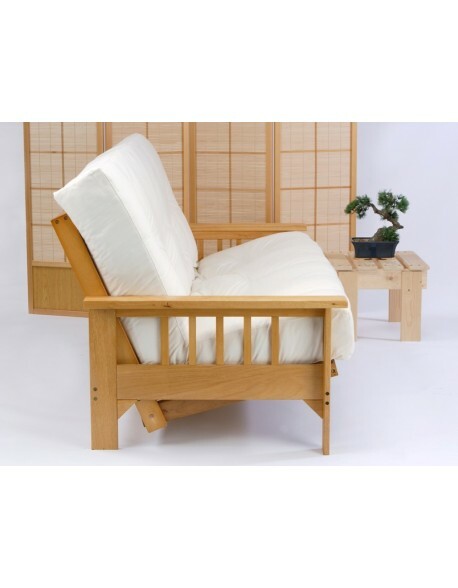 The Monk Futon Bed Roll has been around for decades and makes a great bed roll for overnight stops, unexpected guests and any occasion when an extra sleeping place is needed. 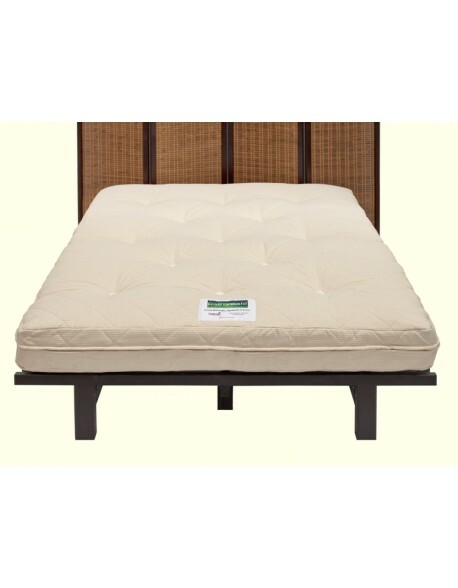 The traditional style futon mattress for everyday sleeping providing a supportive firm feel. Nothing complicated here, just lambswool top and bottom with layers and woolfelt inbetween. 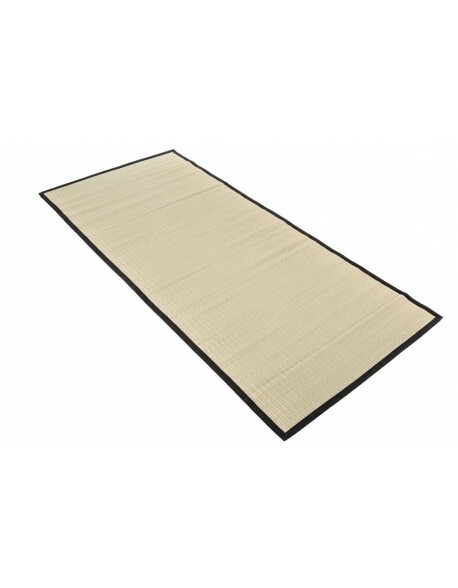 Roll up Goza Mat with plain black edging, ideal as bed mat or for Yoga. 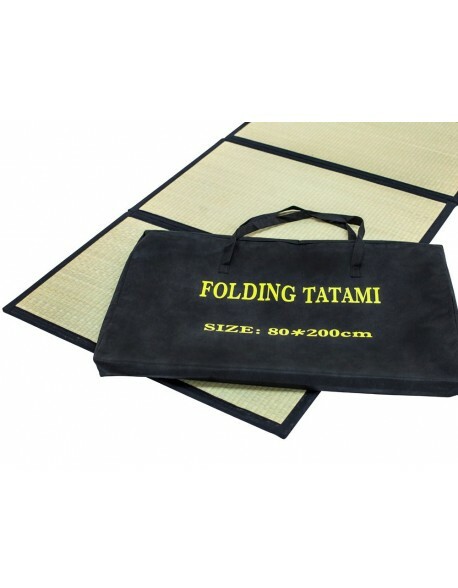 Light weight neat folding tatami mat, four sections fold and pack away into a carry bag for easy of use. 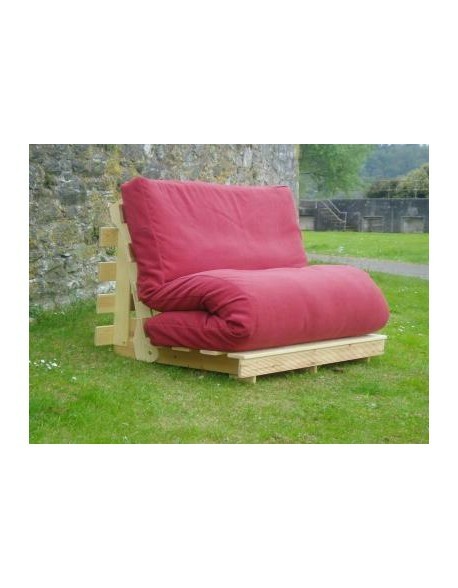 Does your three seat futon sofa bed need a bit of a 'makeover'? 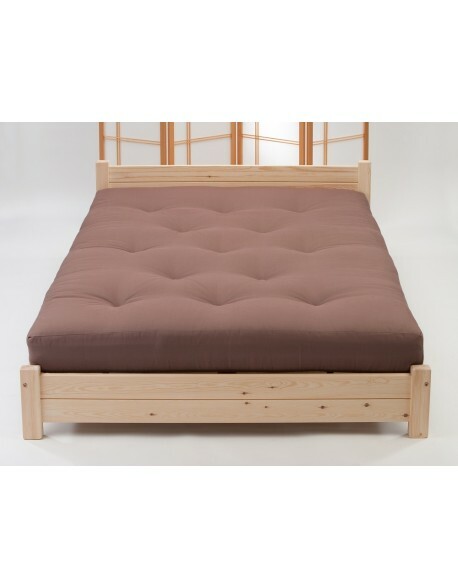 We have a choice of bi fold futon mattresses suitable for metal or wood framed three seat futons with a good selections of fillings and fabrics, see information below for full details. 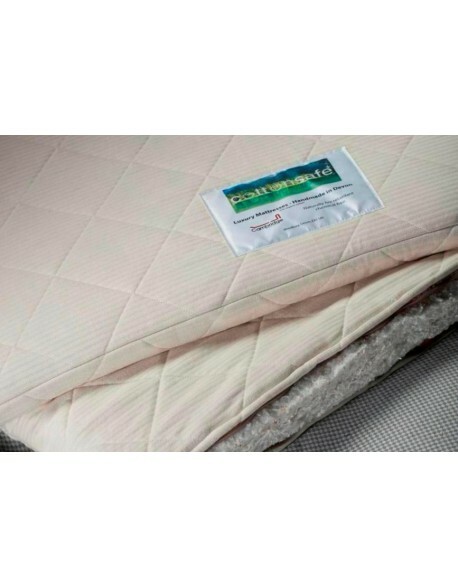 Lovely quality pure cotton mattress protector that can be regularly washed at high temperature, we use them and love them! 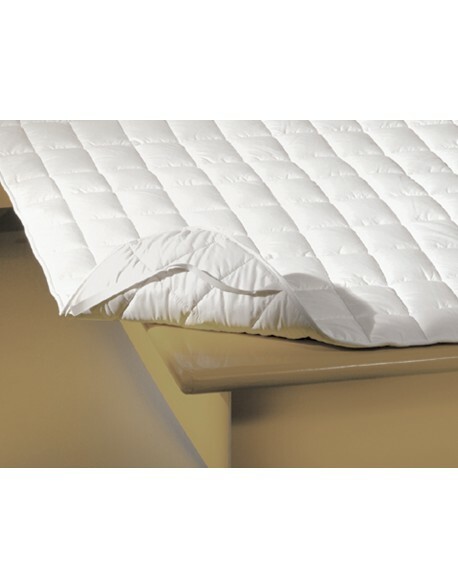 The Nomad Futon Bed roll provides a firm, authentic floor sleeping mattress, using only the best quality fillings and fully made here in the South West in a standard double size. 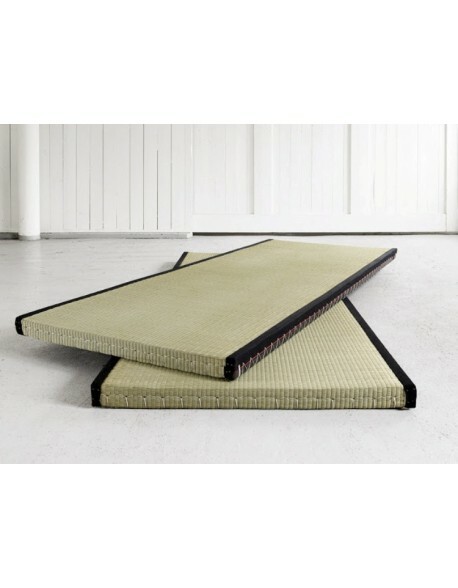 It is shown in the images being used with our tatami mats which are available separately. 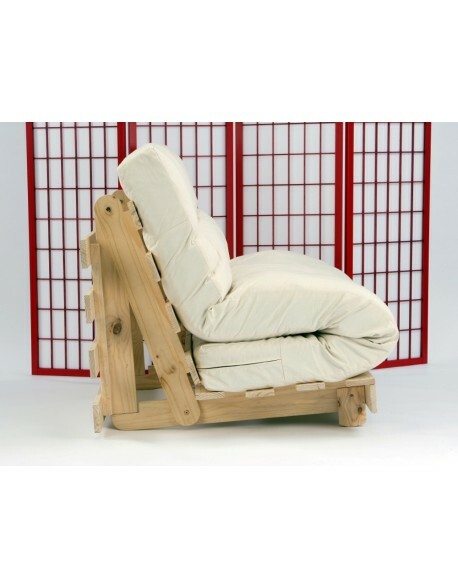 Mattress covers designed to fit your futon that sits in the 'semi S' shape on traditional pine futon 'A' frames and two seat futon sofa beds with wood or metal frames. 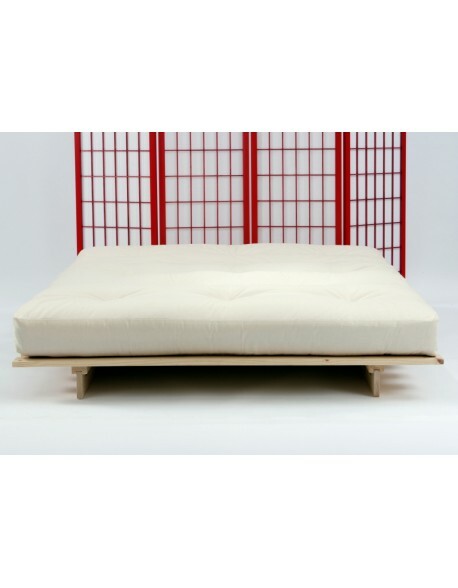 The classic style low level Oriental style tatami bed, the Dock bed is a popular choice and available in two sizes, including tatami mats, with an optional choice of futon mattresses. 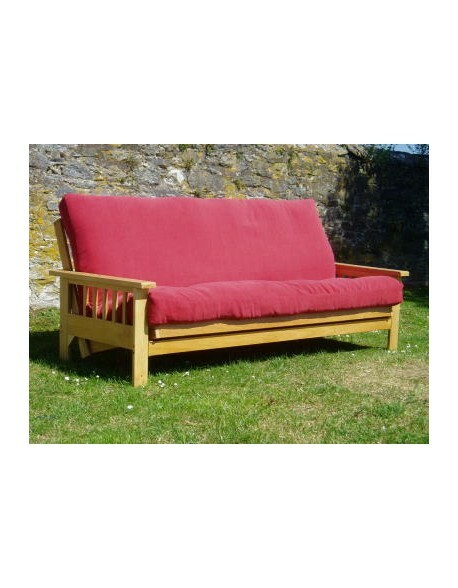 Big value low level Oriental style bed frame manufactured in FSC managed forest redwood pine to strength and durability. Choice of sizes, optional tatami mats and futon mattress choice available. 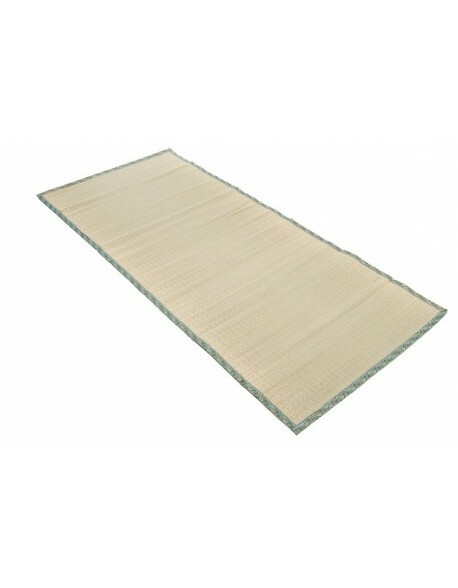 Roll up Goza mat with decorative green edging, ideal for Yoga or as an exercise mat. 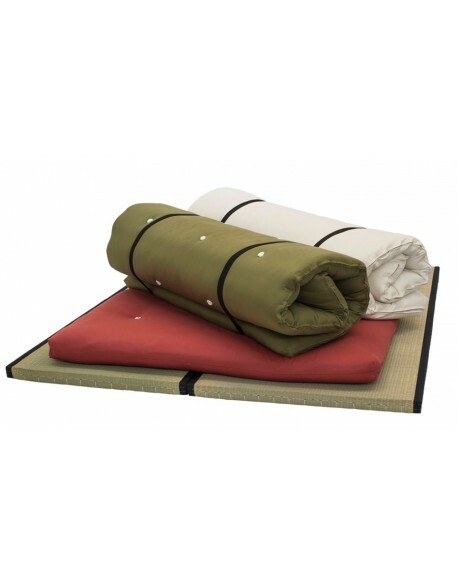 A softer feel Tatami featuring a coconut hair and cotton based natural filling, perfect as an exercise or Yoga tatami and can also be used as a bed base or floor mat. Available in a 70 or 90 x 200 size, price is per tatami mat, for full details read below. 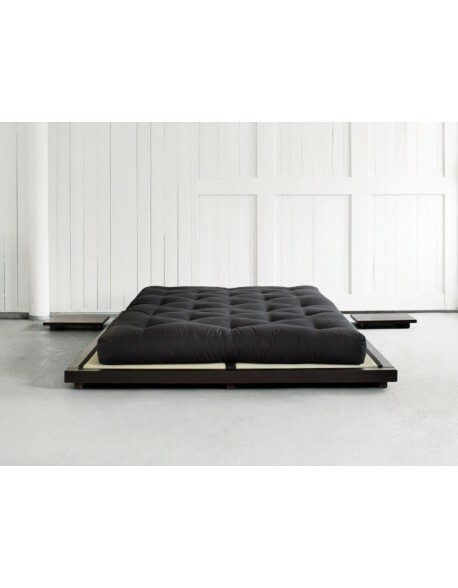 Looking to replace your spare room futon mattress? Our standard double makes a great choice for guest use and is available from stock for rapid delivery.